Hi everyone I'm Jack Red, I figured to do another list inspired by my Killer Toys Collection. Once again I'm excluding Chucky simply because a lot of these deserve to shine. It doesn't have to be more than Child's Play series just enough for more people to talk about them. I am also excluding Dummy from Triloquist & Nikki from Love Object. Triloquist doesn't make it clear if the dummy is alive or being controlled the entire time. For those that might have seen the ending. Not even that helps it's case in the matters like we're suppose to believe he is alive. In Nikki's case, she played a minor role in the movie. The guy that ordered her was a true monster. I am also excluding Fletcher from Making Contact aka Joey. Out of Dummy and Nikki, he does a lot more. Sadly his movie was more of a family possibly kid friendly horror movie. Therefore, it was never about people dying. 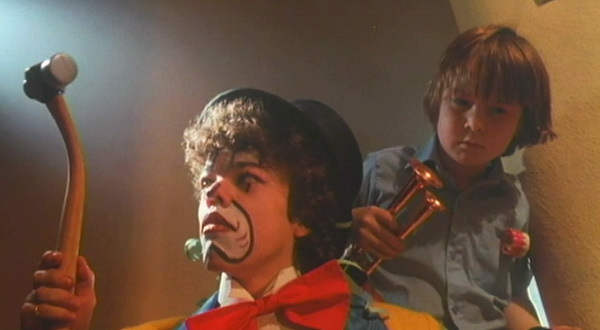 It was more on the boy's telekinesis going against a possessed dummy. I do respect this dummy for what it brings to that table but not quite what I was looking for my list. Brahms doll almost didn't make my list. Which would've force me to do either top 9 or 5 list. I am a fan of this movie for many reasons. Look I know by now many people know the big twist that's near the end. For those that still haven't seen The Boy. I recommend you do something or skip to number 9 on this list. To clarify something Brahms' twist does take away from the theme to a degree. At the same time, I also got movies with guys believing their dummies are alive. I felt it was alright to include this doll. The fact it felt like a killer toy movie up to that twist is done incredibly well. Also the doll is sorta creepy in his own way. Simply because a teddy bear told him to kill people. A couple of people get tricked into falling in a huge hole filled with ancient creatures. One of the weirdest looking teddy bears I have ever seen. His voice might be the strangest thing about him. To this boy, no one is more of a true friend than this teddy bear. Yes I know, Xtro had a few killer toys. But Clown had the most kills out of them. Also he stands out in many ways not including his wacky weapons. Clown is basically the kid's right hand person to help with eggs. This guy isn't afraid to get his hands dirty. Possibly the coolest thing about him is using that spinner yoyo that has spikes especially in the dark. This was a tie for many reasons. Both involve a man with a dummy they believe to be alive. In reality, both of them are experiencing a multiple personality disorder. Both of these dummies are creepier in different ways. Fats does have a more interesting personality. But Pin is just pain weird even for a killer toy movie. It's no secret I'm not crazy about this movie. Not simply because she is ripping off Chucky. But also because it had chances to stand out more to end up missing the mark. I mean come on a demon possessing several dolls at once. Most kills in this movie are okay with a horrible voice. Dolly sure has a over sized dollhouse, she barely stands out on her own in my opinion. To clarify Mary Shaw's spirit is killing people. But there's plenty of scenes with her dolls being creepy. 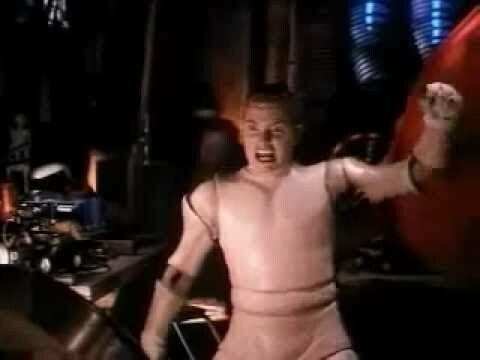 Maybe this could've been an inspiration for Five Nights at Freddy's series. Hard to believe there's one hundred and one dolls. Mary had her own corpse to be transformed into a doll. 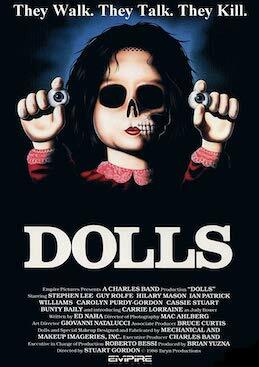 This movie gives you more reasons to fear dolls, dummies & the unknown. Annabelle at her core is a demon that loves terrorizing people. Usually found inside the famous doll inspired by a different doll in real life. I know I don't even need to say this. Annabelle is one of the creepiest dolls I have ever seen. She takes her time to make people around her suffer in horrible ways. Pino, the son of a toy store owner became obsessed with being loved as a real son. He went out of his way to send rigged killer toys to kill a little boy. In most cases, someone else ended up dead as well as his neighbor going to the hospital. All kind of toys killing them in such horrible ways. Pino himself is actually a big toy created by his inventor aka father Joe. I know what many of you might be thinking. In many ways this movie in an unique way should count as a killer toy movie. Dollman was the toughest police officer of his world before chasing his nemesis to Earth. Surprisingly to us, he was the size of a doll. He wields the most powerful handgun in the universe like a boss. Dolls are just amazing in what they can do. Their origin story is many of them were people that escaped from the law. They were founded by this elderly couple to be transformed into dolls. There's so many of them to over whelm anyone. They also have toy soldiers that aren't afraid to gun you down.